Proper water drainage systems are the most critical aspect of your landscape. Water may be essential to our everyday life, but it also has the possibility of being very destructive. Erosion to you or your neighbors’ property can arise due to a weak drainage system. 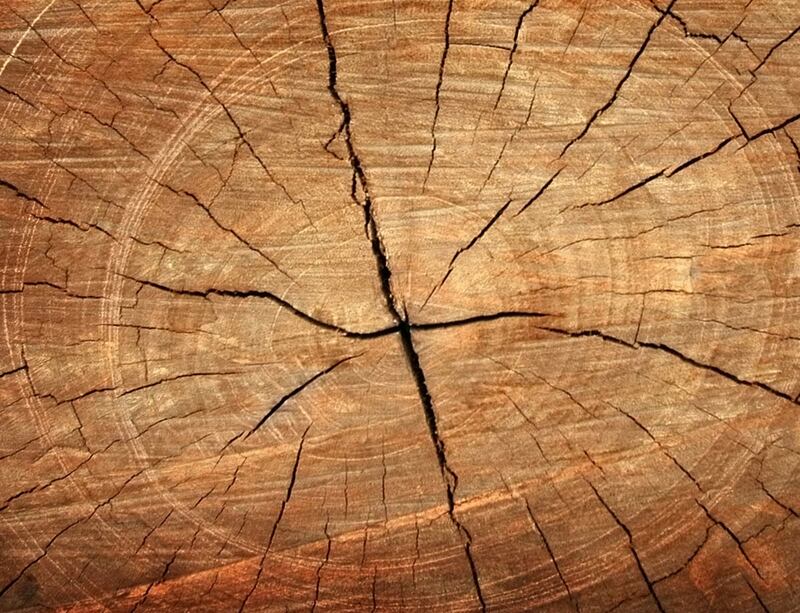 Foundation damage, structural deficiencies to the landscape, and death of lawn or plant materials. 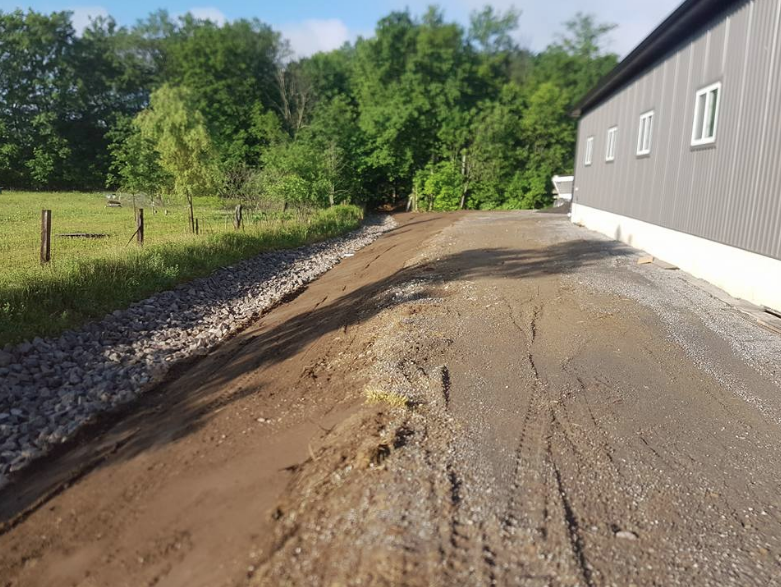 At Full Bucket Contracting, our staff can address water drainage issues by using weeping tiles, french drains, channel drains, catch basins or ditch and slope drains. 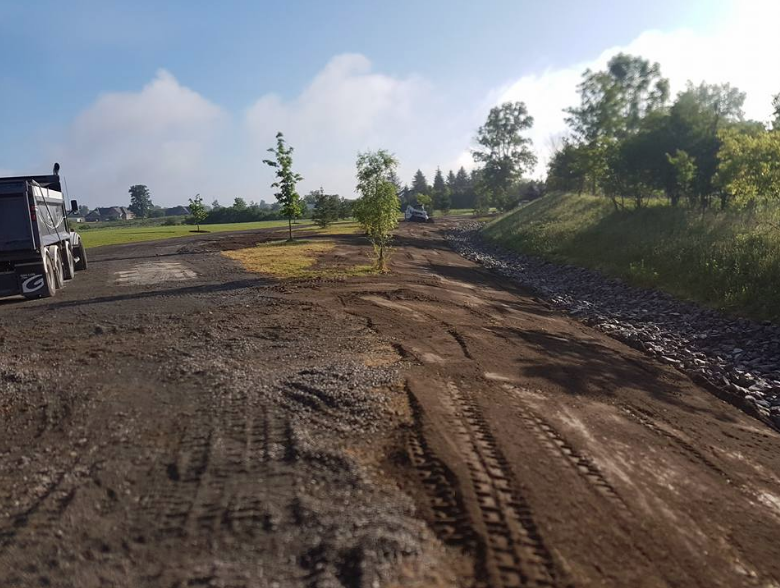 Areas that have high spots or excessive drainage can be re-contoured and more water retention can be added by changing the soil composition and mixture. Ditch and Slope drains: Small ditches or slopes may be dug at the edges of the yard by homeowners. To naturally move excess water away from houses, these drainage structures may be landscaped or paved over. 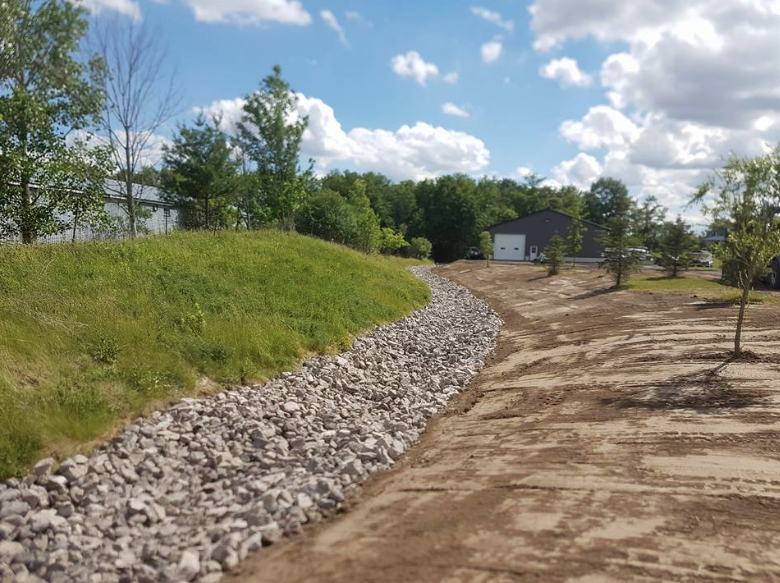 The minimum that is ideal for landscaped slopes is two percent, where if paved it will need a perfect minimum slope of one percent. Channel drains: usually situated at the edges of patios or decks, as well as between primary structures, these long and narrow drains are connected typically to underground pipe systems. To prevent leaf and grass blockage, most of these drains have grate covers. A channel drain would be in areas that have swimming pools as they can help with the overflow of water. Deck drains: more visually attractive than other drain types. They have decorative covers made of brass or metal. Built for patio surfaces deck drains are commonly placed at the bottom of sloped surfaces, allowing excess water to filter through them naturally. French drains: a ditch filled with gravel, the purpose to direct water away from a structure. Modern houses are built using this system, usually have a Perforated Pipe covered by the ground, to prevent basement flooding in your home. With the characteristics of water flow unique to each property. Investing in a drainage system that is adequate to ensure the longevity of your landscape and home is a smart insurance policy. 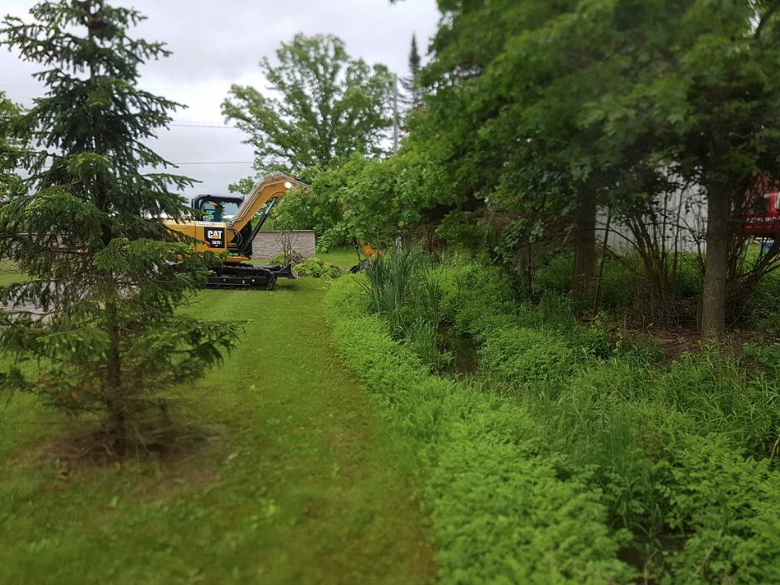 At Full Bucket Contracting, we have experience in a large variety of landscaping services in the Brantford-Brant-Norfolk area.